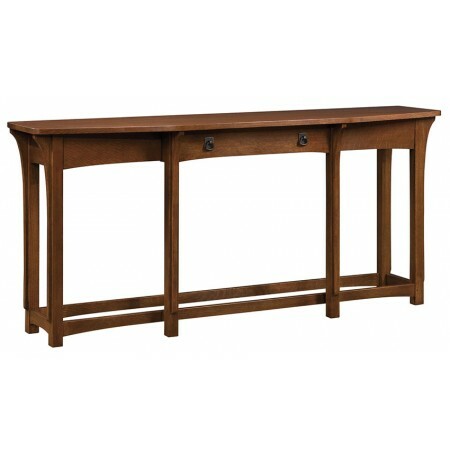 Adapted from an early Mission design, this console has a breakfront top supported by corbels that extend nearly the length of the legs. Secret compartment. Single center drawer with dark copper hardware. Available in solid oak.